Even if you'd rather do ANYTHING than make a prospecting or sales call now! ...I'm going to help you do exactly that. 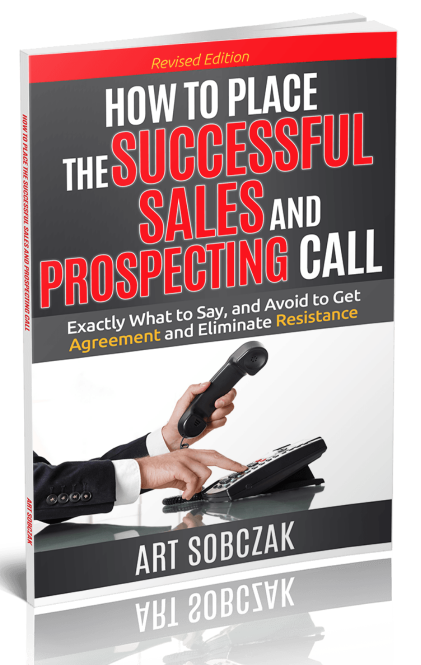 Hi, I'm Art Sobczak, and over the past 30 years I've helped hundreds of thousands of sales pros--and those who didn't even consider themselves to be in sales-- to generate countless millions of dollars by phone. One call at a time. If your biggest barrier to creating new business is sitting right in front of you, the phone that sometimes feels like it weighs 5000 pounds, or seems too nuclear-flaming hot to even touch... you are not alone. I actually was the same way, very early in my career as a new corporate salesperson right out of college, tasked with prospecting owners of companies, and high-level managers at huge corporations... people twice my age. You'd laugh if I told you the excuses I made for myself to avoid making calls. (We didn't have the Internet back then to help make it look like we were doing "research" so I came up with all kinds of others.) I actually thought I was too busy to make calls at times. HA! But, I quickly realized--maybe like you--that I had to do something to get over my reluctance, fear of no's, and lack of confidence. 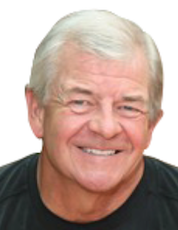 For over 30 years I've made it my life's work studying, testing, and teaching the mindset, processes, strategies, methods, and word-for-word techniques that salespeople worldwide use every day to pick up the phone, get through, get in, and sell, and get what they want in life. You don't need to put in the 30 years, do the research, go down in flames as much as I did, or ever experience reluctance to pick up the phone again! I've done the work for you, and I wan to share it with you. What Prevents Otherwise-Intelligent and Confident People From Making Calls, and Having Success With Them? 2. The absence of a structured call process and proven techniques, while avoiding saying things that get them shot down. 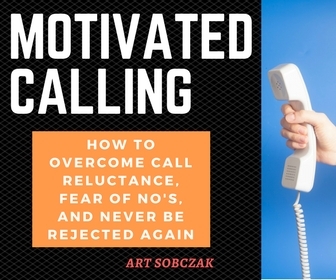 "Motivated Calling- How to Overcome Call Reluctance, Fear of No's, and Never Be Rejected Again"
Just think if you were motivated...even excited every day, looking forward to grabbing that phone so you could engage with buyers who want you have. Imagine the feeling of speaking with decision makers as if you were talking to a best friend. And when you do get a no--which we always will-- actually having something productive come from it... possible new future business. Plus, not being negatively affected by it. Instead, actually feeling good about what you accomplished. I have prepared for you a one-hour audio training that will turn around your thinking, and your motivation to pick up the phone . You will wonder why someone hadn't told you this before. 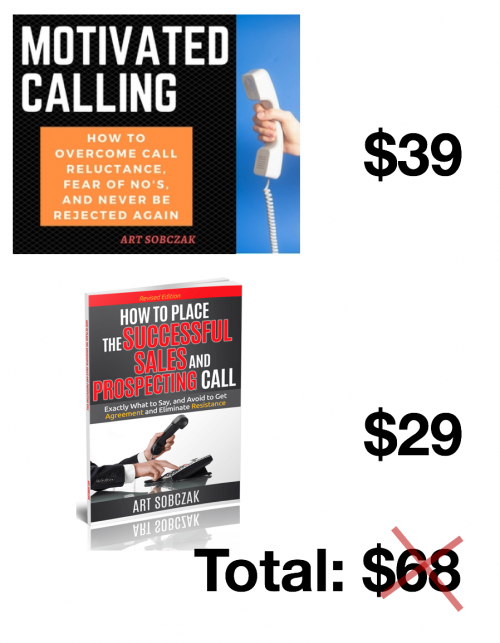 After hearing these simple methods and tips, you'll wonder why you suffered through the self-doubt and guilt of knowing you needed to be placing calls, but just couldn't bring yourself to do it. How to never be rejected again, on any call. 22 brief, proven attitude and success tips that will elevate your thinking and performance to a never-reached before level. A simple process to bust through your self imposed limitations that keep you stuck where you are. What winners do compared to losers. Pick which ones you want to implement. 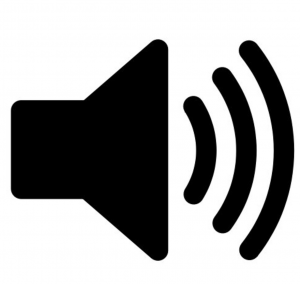 Your training is in audio format, available for you to listen to again and again. You can also download the mp3 to your mobile device. We do suggest you listen several times to engrain the methods and ideas so they turn into your habitual success beliefs. 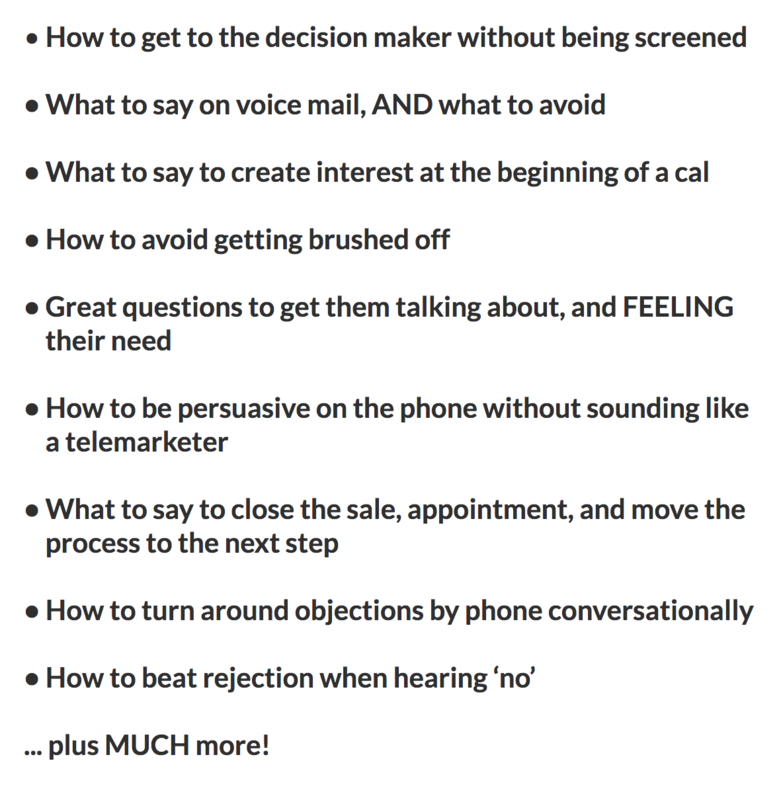 Yes, hand-in-hand with the confidence to pick up the phone (and what actually contributes to that confidence and is reinforced with success) is the proven call process, and the what-to-say, and what-to-avoid part. We've sold over 10,000 copies of the hardcopy and electronic version of this book at $29. And you get it FREE with your "Motivated Calling" training. 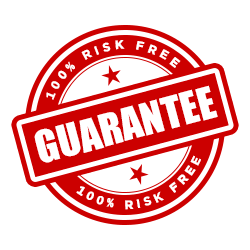 Order right now and you will be sent your link to immediately access your Motivated Calling one-hour audio training and How to Place the Successful Sales and Prospecting Call book.